210000 CURSOR Iveco CURSOR series diesel engine. 210010 CURSOR 10TE1 Iveco CURSOR 10TE1 Genset Engine Spare Parts Catalog. 210011 CURSOR 10TE1D Iveco CURSOR 10TE1D Genset Engine Spare Parts Catalog. 210012 CURSOR 13TE1 Iveco CURSOR 13TE1 Genset Engine Spare Parts Catalog. 210013 CURSOR 13TE2 Iveco CURSOR 13TE2 Genset Engine Spare Parts Catalog. 210014 CURSOR 13TE2A Iveco CURSOR 13TE2A Genset Engine Spare Parts Catalog. 210015 CURSOR 13TE2S Iveco CURSOR 13TE2S Genset Engine Spare Parts Catalog. 210016 CURSOR 13TE3 Iveco CURSOR 13TE3 Genset Engine Spare Parts Catalog. 210017 CURSOR 13TE3A Iveco CURSOR 13TE3A Genset Engine Spare Parts Catalog. 210018 CURSOR 13TE3S Iveco CURSOR 13TE3S Genset Engine Spare Parts Catalog. 210019 CURSOR 13TE3X Iveco CURSOR 13TE3X Genset Engine Spare Parts Catalog. 210020 CURSOR 78TE2 Iveco CURSOR 78TE2 Genset Engine Spare Parts Catalog. 210021 CURSOR 78TE2S Iveco CURSOR 78TE2S Genset Engine Spare Parts Catalog. 210022 CURSOR 87TE1D Iveco CURSOR 87TE1D Genset Engine Spare Parts Catalog. 210023 CURSOR 250E Iveco CURSOR 250E Genset Spare Parts Catalog. 210024 GE CURSOR 250ED Iveco GE CURSOR 250ED Genset Spare Parts Catalog. 210025 GE CURSOR 250ES Iveco GE CURSOR 250ES Genset Spare Parts Catalog. 210026 GE CURSOR 270ED Iveco GE CURSOR 270ED Genset Spare Parts Catalog. 210027 GE CURSOR 300E Iveco GE CURSOR 300E Genset Spare Parts Catalog. 210028 GE CURSOR 300ED Iveco GE CURSOR 300ED Genset Spare Parts Catalog. 210029 GE CURSOR 350E Iveco GE CURSOR 350E Genset Spare Parts Catalog. 210030 GE CURSOR 350EA Iveco GE CURSOR 350EA Genset Spare Parts Catalog. 210031 GE CURSOR 350ES Iveco GE CURSOR 350ES Genset Spare Parts Catalog. 210032 GE CURSOR 400E Iveco GE CURSOR 400E Genset Spare Parts Catalog. 210033 GE CURSOR 400EA Iveco GE CURSOR 400EA Genset Spare Parts Catalog. 210034 GE CURSOR 400ES Iveco GE CURSOR 400ES Genset Spare Parts Catalog. 210100 VECTOR Iveco VECTOR series diesel engine. 210110 VECTOR 8 TE2 Iveco VECTOR 8 TE2 Genset Engine Service (workshop / repair) Manual. 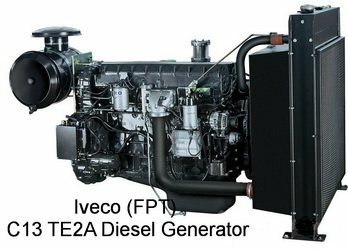 210111 VECTOR 8 TE2 Iveco VECTOR 8 TE2 Genset Engine Spare Parts Catalog. 210112 GE VECTOR 650E Iveco GE VECTOR 650E Genset Spare Parts Catalog.